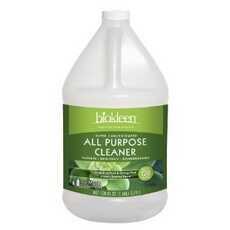 Enjoy Biokleen All Purpose Clean Concentrate. Cuts Through The Toughest Grease And Dirt Without Using Any Harsh Chemicals.Safe For Most Surfaces When Mixed With Cold Water And Leaves No Residue Or Fumes Behind. (Note: Description is informational only. Please refer to ingredients label on product prior to use and address any health questions to your Health Professional prior to use.